Spurgeon Appraisals has provided home valuation services for properties throughout northeastern Missouri, western Illinois, and southeastern Iowa. Below you will find a link to a page describing our normal service areas for home appraisals. However, we have often done work outside of these areas, so you should still call us for appraisals in counties or cities near these. Or we could even refer you to another qualified appraiser in your area. On the remainder of this page, you will find our past newsletters on the topic of home appraisals and related topics. Be sure to check this page often for updates, or subscribe to our newsletter for other kinds of helpful articles. Residential sales prices in Hannibal saw a pretty hefty spike last year, after remaining fairly stable over the last few years. The median sales price for single family residences in Hannibal was $105,000 from March 2018 to March 2019. The median sales price from 2017-2018 was $90,250. These numbers are based on 215 and 210 sales, respectively. The median is generally the best indicator of a range of sales, because higher and lower sales can skew the average of a range of numbers. Over the last year, seven homes in Hannibal sold for under $10,000, and six homes sold for over $300,000. The median tends to be more reliable when there is such a large divide between the upper and lower ends of the range. The Hannibal housing market has generally been trending upward in recent years. This could be due to efforts to revitalize some of the more depressed areas of the city as well as a growing demand for housing in certain sections of the city, particularly west Hannibal. 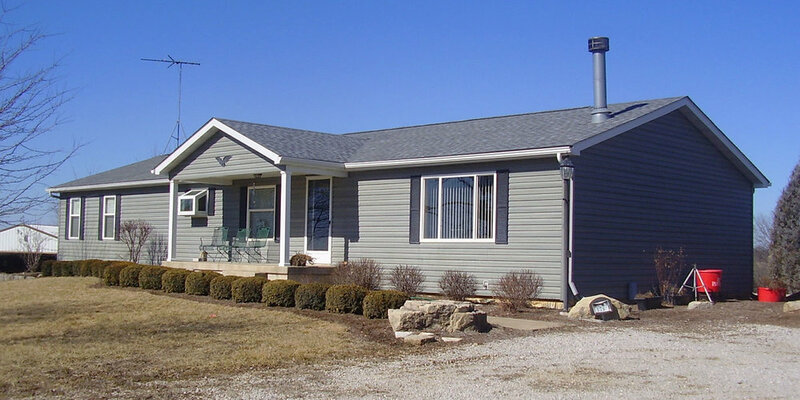 From March 2014 to March 2015, the median sales price of a home in Hannibal was $87,000. That number rose by just over 5 percent the following year and by almost 2 percent from 2016 to 2017. Sales prices dipped from 2017 to 2018 by 3.3 percent. The median sales price from March 2017 to March 2018 was $90,250. From that point to the present, the Hannibal market has seen a more than 16 percent increase. The market is imperfect, and any number of factors can influence such a dramatic rise. One year certainly doesn't make a trend. However, the steady increase in sales prices coincides with an 8.6 percent rise in household income of Hannibal residents over the last year. Palmyra, which has been one of the stronger markets in the area, didn't see the same increase over the last year. From March 2018 to March 2019, the median sales price of homes in Palmyra was $121,250. From 2017 to 2018, that number was $133,000. The last year's median sales price mirrors the 2016-2017 median price. Median household income increased by 6.5 percent over the last year, and Palmyra averages around 30 sales a year. From 2015 to 2018 the median sales prices of homes in Palmyra rose by almost 19 percent. The Palmyra market has seen several years of steady growth, fueled largely by lower property taxes and a strong demand for residences in Palmyra's school district. You can see this in the charts below, as well as the similar information for Hannibal. Again, one year doesn't make a market trend. However, these figures do point to, at the least, a stable housing market in Marion County at the moment. Family incomes and the sales prices of single family residences appear to be increasing concurrently. You can always trust that Spurgeon Appraisals is carefully following real estate markets and providing valuation services with current market data. Call us today and let us help you with your appraisal needs.